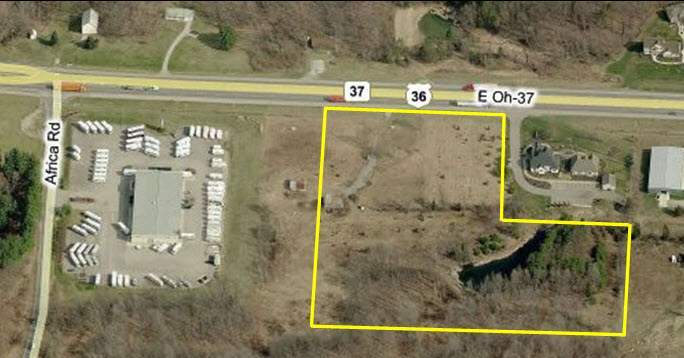 6.37 acres of vacant commercial land. 400' of frontage on SR 36/37. Great highway access at 0.75 miles west from I-71 interchange. 20,000+ average daily traffic count on SR 36/37. Zoned Neighborhood Commercial. 12 miles north of Columbus, 6 miles from Delaware. Owner will subdivide.